The favorites buttons let you register up to 64 of your favorite sounds. If you've saved your settings for a live performance, the sounds you need can be instantly recalled during a song or between songs. The sounds you save can be registered as a combination of the keyboard section and ensemble section. 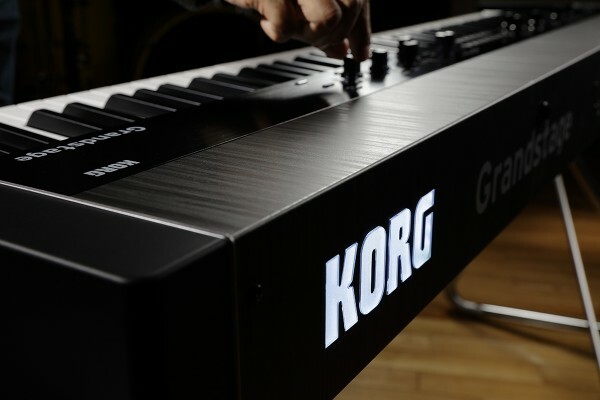 KORG's unique "Smooth Sound Transition" (SST) function creates smooth and natural change when you switch between sounds and effects even while you perform; it's been further refined on the Grandstage. 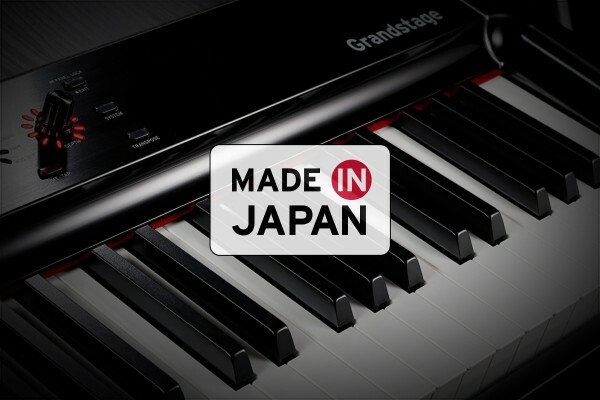 The Grandstage is equipped with a three-band equalizer that lets you adjust the character of the overall sound appropriately for the acoustics of your live performance venue. It can be controlled easily just by operating the faders. The panel lock prevents sounds or settings from being unintentionally changed. You won't need to worry that your hands might accidentally come in contact with a knob or button while you're absorbed in your performance on stage. The actual polyphony will vary depending on the synthesis engines and effects being used. KORG’s proprietary system dynamically allocates voice processing power between synth engines as necessary. The quoted maximum numbers of voices apply when 100% of the voice processing power is devoted to a single engine. 3-band EQ and four insert effects. Controls how the volume and sound respond to changes in keyboard touch.